Fortnite is making a lot of buzz for the last couple of months since its release in September 2017. There are two versions of the game: the initial sandbox version and the second battle royale one. 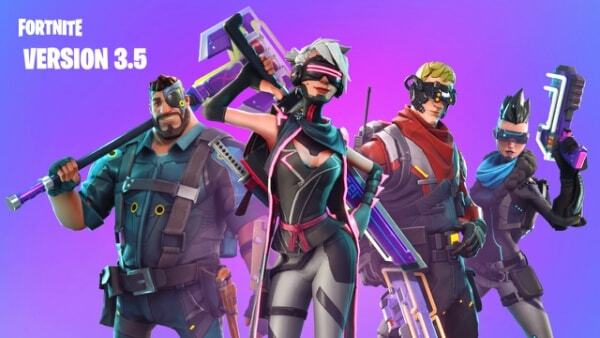 We are going to talk about the Fortnite Battle version 3.5 and what new features it has for players. Epic Games recently released the latest update for the tremendously popular game. It has a lot of features and updates over the last version. Fortnite 3.5 also has some new patches that make the gameplay easier. There is also a mobile version of the game which is Fortnite Battle Royale Mobile. Moreover, there are a couple of points about the new update that you need to know about the latest version. Updates, Patches, new features: Fortnite 3.5 has it all. All the things that have been bugging you are no longer in the latest version. The newest feature Replay allows you to capture your most awesome kills and even your Victory Royale. Here is a list of the new features, updates, and patches. Fort-a-Fort: Create a fort with just flick on your wrist. 50v50 battle: Make two teams of 50 players each and go all out. New Heroes: Save the world with a twist with the new cyberpunk heroes. Neon Weapons: Get your bling on with brand-new neon weapons. Fixed a lot of battle bugs like crashes and glitches. You can now access your V-bucks across your mobile, PC, and Xbox. In addition to these, there are a lot of new updates. Find the entire list on the official website from here. This brings an end to the discussion on Fortnite version 3.5 which is the latest update to the game. As you can see, a lot of patches have been applied along with new features and bug fixes. Make sure to check out our other posts at APKPie.